Comments: VG-This Paper Back book is in very good overall condition. Dust jacket, if applicable, is intact, with no nicks or tears. Spine has no signs of creasing. Pages are clean and not marred by notes or folds. Thanks for supporting our Mission at Goodwill. 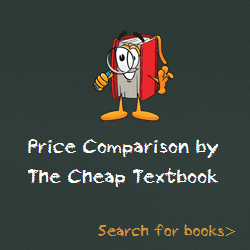 This entry was posted in Book and tagged 0321832019, 978-0321832016, 9780321832016, Top Textbooks August 2014 on August 28, 2014 by Textbooks.